Patchwork cap in grey shades, 100% Donegal wool, perfect to protect you from cold and rain. With its sleek patchwork in grey shades, this cap is 100% Donegal wool. High quality fabric makes this cap perfect to protect you from cold and rain. 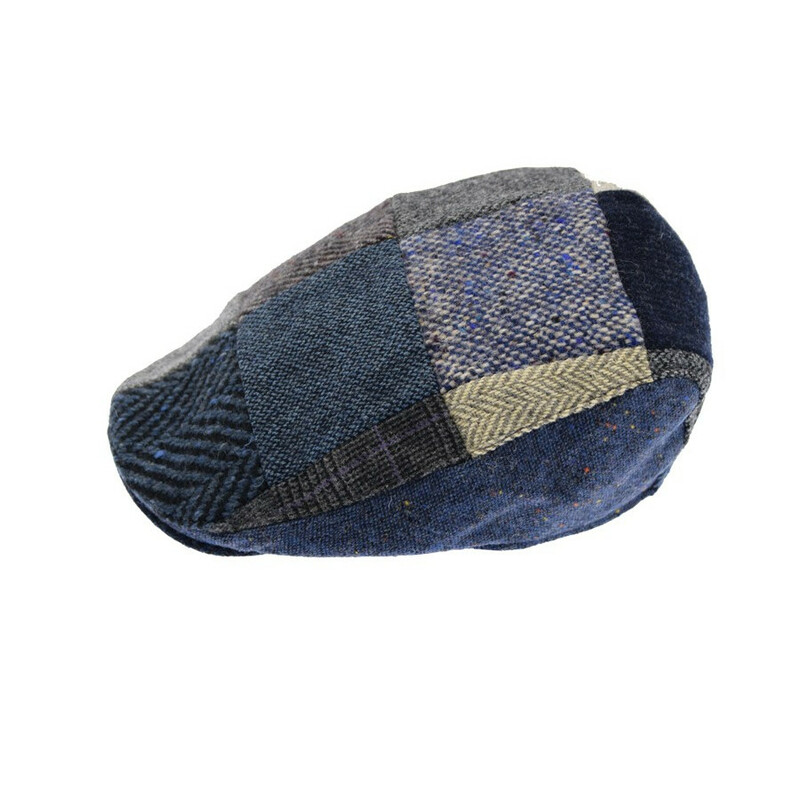 Each cap is a unique design and has its own variety of colours and tweed fabric. The product will differ from the picture shown as an example. Please contact us for additional information via email or telephone at +33 (0)2 98 85 47 37. Each Hanna Hats cap is handcrafted. 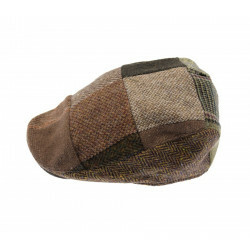 A 100% Donegal wool patchwork cap of beige, green and brown colour.